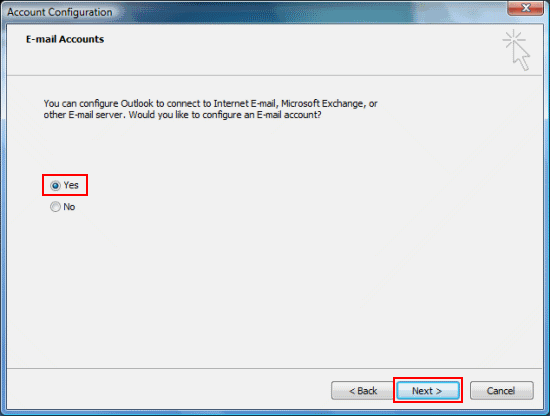 You'll be asked if you want to configure an email account, make sure Yes is selected and click Next. Click Manually configure server settings or additional server types click Next. 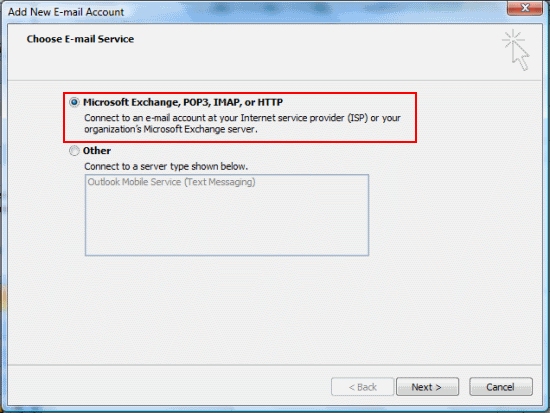 Make sure Internet email is selected, click Next and go to Section 3 - Enter your account details. 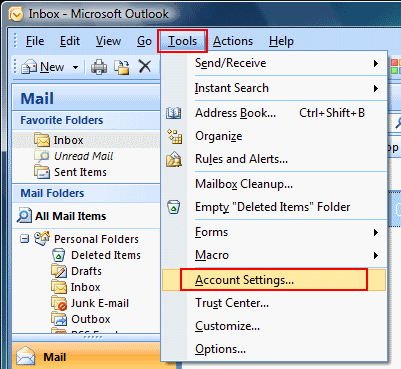 Open Outlook, go to Tools on the top bar and select Account Settings. 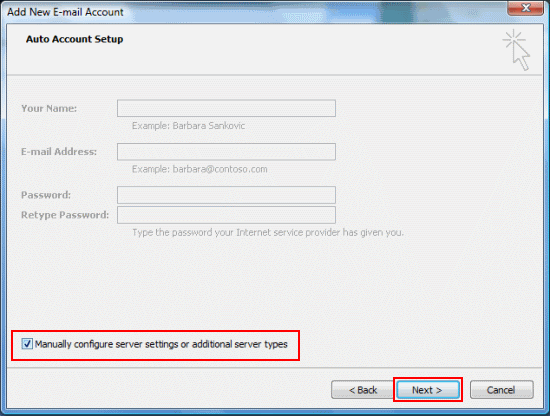 Tick Manually configure server settings or additional server types and click Next. 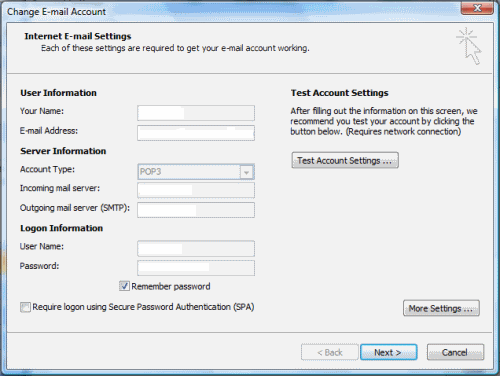 Fill out the Internet Email Settings window with your account details. If you're not sure what to enter, each section you need to fill in is explained below. Your Name: Your full name or the name you'd like people to see when you send them email from this account. 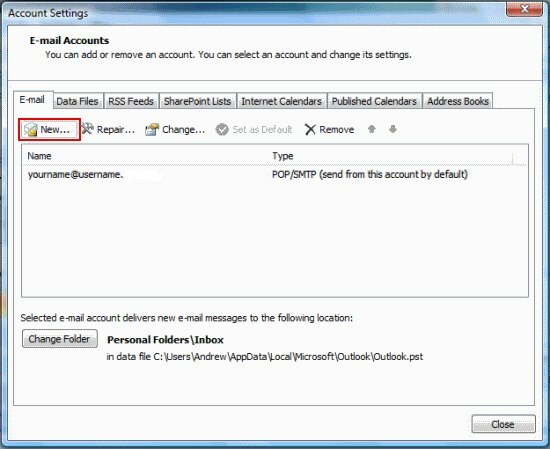 To set up your email account you'll need to use the mailbox username (in the format username+mailboxname) and password. When you've done this click Next. That's everything you need to do, click Finish. 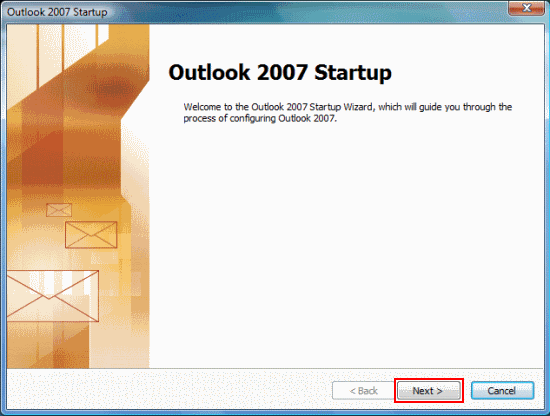 Finally Click Send/Receive and your email will be downloaded to the Inbox. 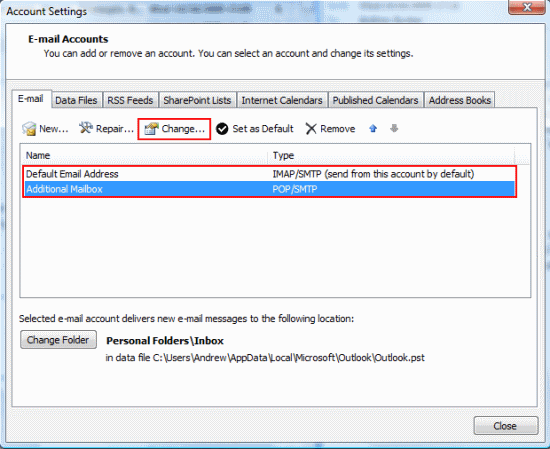 Go to Tools on the top bar and select Account Settings. The settings screen is the same as the one you'll see when setting up a new account. Take a look at Step 3 - Enter your account details (above) for more information on this. Click Next and then Finish when you're done.